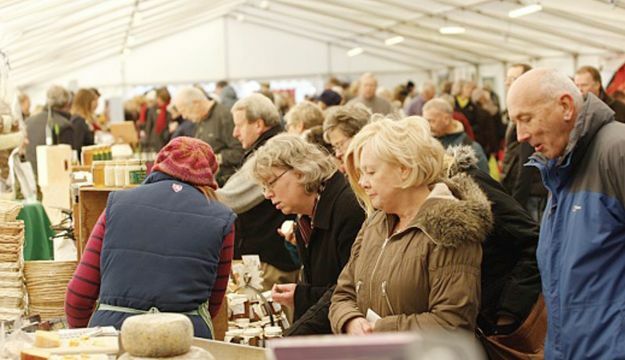 Herefordshire is a treasure house of familiar cherished flavours, and what better way to celebrate this than at a festival with wholesome, healthy, quality, simple yet delicious food as its focus. The Flavours of Herefordshire Festival 2013 takes place on 2nd and 3rd November in a prime location in the heart of Hereford City with the stunning and iconic backdrop of Hereford Cathedral and the historic High Town. The ‘pop-up city in a city’ is free to all and encompasses not only food and drink but all the ‘flavours’ of Herefordshire including family entertainment, creative events and culture. There are some well-known faces in the pipe-line for November so check in at www.flavoursofherefordshire.co.uk for up to date information on who will be tempting the crowds into the Celebrity Theatre. Because of the rural nature of the county our food is still intrinsically what it has always been – home grown, home reared, homemade and reflecting the seasons of the year. Herefordshire is a county where every day men and women, farmers and gardeners, cooks and caterers, bakers and cake makers, butchers and cheese makers, distillers, brewers, cider and perry makers all have a strong awareness of tradition and fantastic imagination. These are the people with great commitment and passion for their chosen profession and finding out the story behind your purchases through meeting the producers is what makes this culinary celebration so enjoyable. We’ve got something for everyone with a jam-packed offering of local produce, celebrities, workshops, demonstrations, entertainment, family fun and lip-licking good street food so start planning your trip to Herefordshire now!